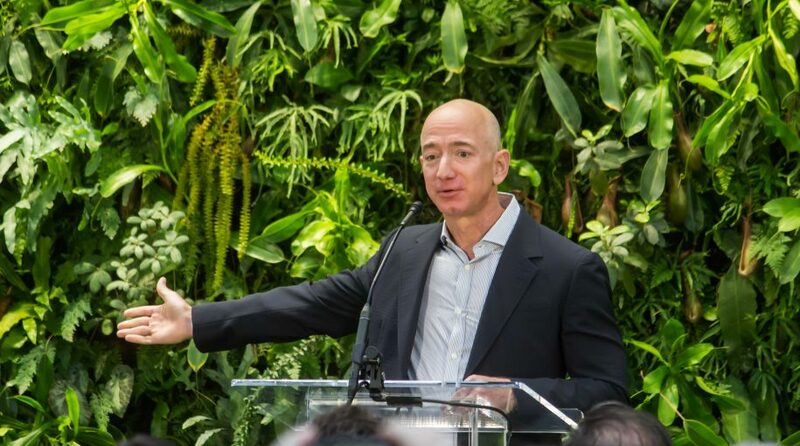 Jeff Bezos, founder and CEO of e-commerce giant Amazon, now has a net worth of $143.9 billion, making him the wealthiest man in the world by an impressive margin, according to Forbes World’s Billionaires list. The tech titan’s net worth, which has grown $5 billion since June 1, is $51 billion more than Bill Gates and over $60 billion more than Warren Buffett. Bezos has had a remarkable year thus far. Just three months ago in March, he officially became the world’s richest man, a title previously held by Microsoft’s Bill Gates. Amazon (AMZN), which started out of Bezos’ garage at 30 years of age, has advanced to become the world’s second most valuable company at $770 billion, one spot ahead of Alphabet (GOOGL) and behind Apple (AAPL).